As Lutherans, we recognize that all we have—our time, our talents, our resources, even our very lives—are gifts from God. We are called to be good stewards of all these gifts, investing them wisely and generously for the sake of God’s Kingdom. In our first twenty-five years, we as a church family have been blessed by the Lord through the generous gifts and commitments given by our members. Know that every financial commitment and gift you give is treasured, carefully managed and put to work where it was designated. Finances are important to support our ministry and we appreciate the generous support we receive from our households and members. Offering envelope booklets with each week’s giving envelopes are distributed to households at the start of each year and also when a member joins. They include envelopes for special offerings; for seasons of Lent, Advent and Christmas Eve. If you have questions concerning your financial giving at Messiah, please contact Financial Secretary Marc Neely. Online giving gives you the opportunity to make automatic financial contributions from your bank or credit card account to our church and manage your giving through the secure, third-party portal. 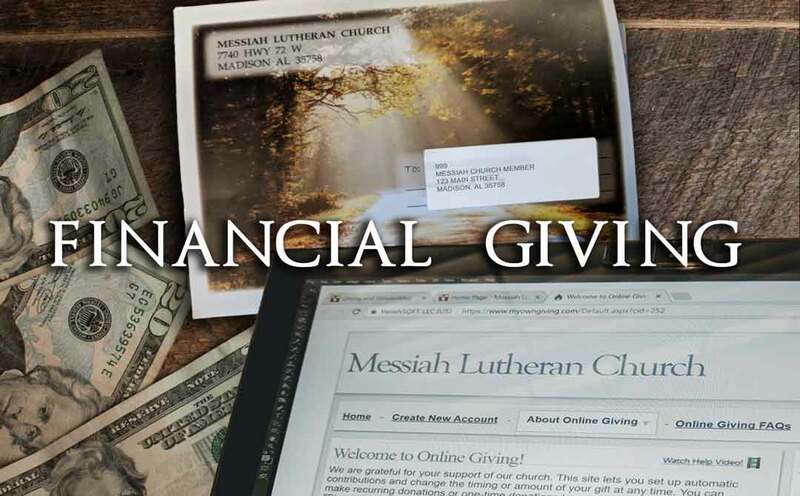 Online giving costs you nothing and provides many advantages to both you and Messiah Lutheran Church. Online Giving is not intended to replace the traditional act of Sunday offertory, it is meant to enhance it! Reusable “I gave online” cards are located in the pews, allowing you to physically participate in the Sunday offertory when the plate is passed. You may continue to use offering envelopes if you wish. Transactions are private and secure. Please prayerfully consider Online Giving! When we accept Jesus Christ as our Savior we know that everything we have and everything we are comes from God. 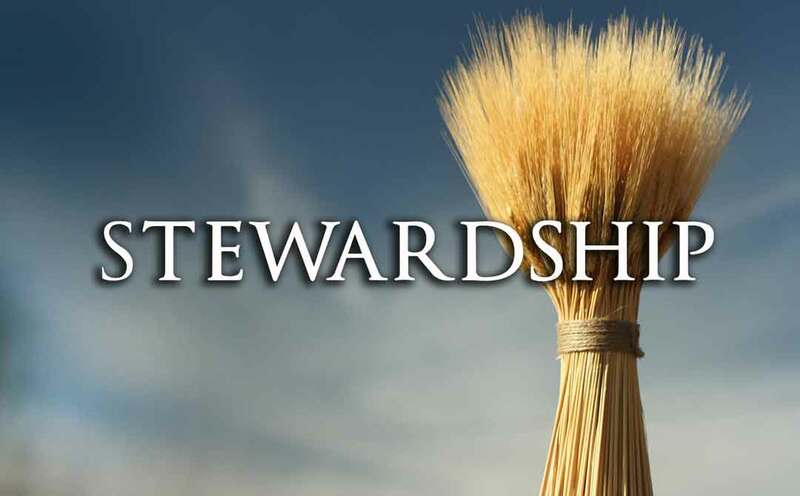 Therefore, stewardship is our response to all the gifts that we have already received–our selves, our family, our vocation, our talents, our past and our future. The first is the gift of faith in Jesus Christ, his work of redemption, and thus forgiveness of sin. The second is the gift of one or more special abilities, which are to be used for the purpose of unifying the body of Christ and for the growth of God’s Kingdom. These abilities are called spiritual gifts and they are received through our baptism. Like other presents, it is impossible to fully appreciate and make use of our spiritual gifts until they have been opened. The Evangelical Lutheran Church in America has a self-study Spiritual Gifts Inventory online assessment tool that upon completion provides a matrix of your spiritual gifts. A printable Spiritual Gift Inventory includes scriptural references and asks questions and then guides you how to compile your results. This helps you know where you may be most effective in sharing your spiritual gifts. We recently created a shorter, abbreviated Spiritual Gifts Survey to help Members of Messiah explore and communicate their spiritual gifts. Members may turn these forms into the church office to keep with their member records as an enhancement to their Time and Talent information (see below). May the special abilities God has given you be deployed in areas of ministry where they will be most effective for the good of the entire church body. These gifts should also be affirmed by the body and utilized by the one who is gifted. Completing a Time and Talent form helps members get connected to relevant ministry, fellowship and service groups of Messiah Lutheran Church. It’s how you can put those spiritual gifts into action. The information from your form is kept securely in our church membership database and only shared with the relevant ministry leader. Contact the church office if you wish to update your time and talent profile.